I’ve recently received a promo of an EP that I like to share with you since it comes from a long-time fan of NDYD and it comes only natural to give back the love you have for us. Let me introduce to you the artist a bit before I’m getting into his most recent creation. Dresden-based producer Ronald KOON, who told me that he has been into the sound of the 80’s for quite a while mainly due to the King of Pop, has been hitting the wheels of steel in the 2000’s after being a regular fixture in his hometown’s nightlife for quite a while. By organising ‘French Kiss’-themed parties influenced largely by Justice, Boys Noize and Digitalism, Ronald quickly emerged together with some friends as a household name in Dresden’s club-scene for the next seven years. 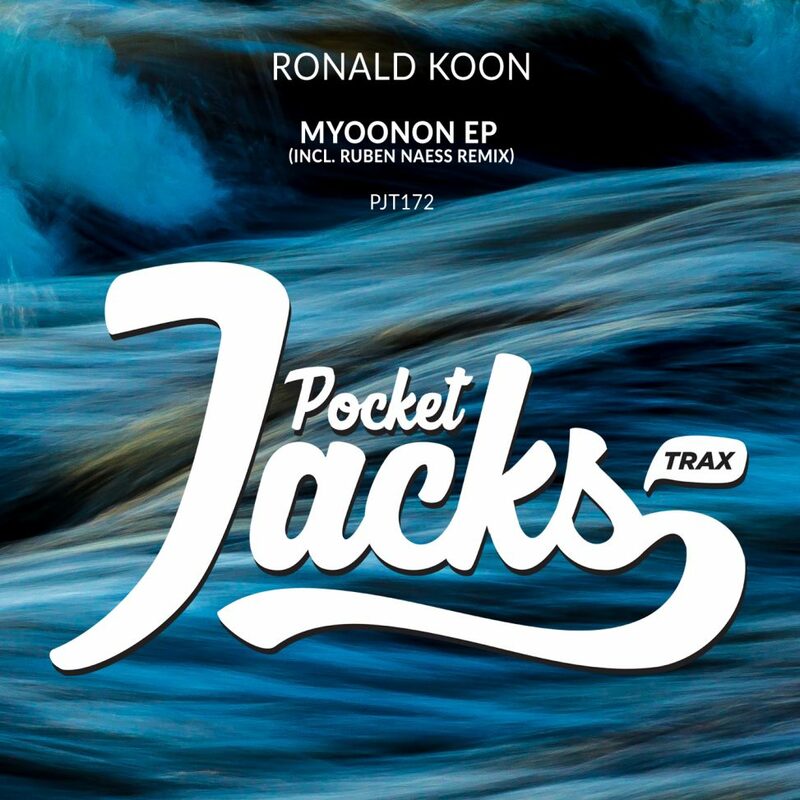 Although drifting into techno for the last three years, the love for disco never faded and with his debut EP ‘MYOONON‘ on Norwegian-imprint ‘Pocket Jack Trax‘, Ronald returns to his childhood love this year. Although ‘MYOONON‘ isn’t really pure disco, many elements though used in the three-tracker do reflect the influence of disco such as the vocals used in the first track called ‘45 Degrys‘ a track that is set up to attract fellow Djs and fans of pumping house-tunes ideally made for peak time-action. Ronald returns nowadays disco-spiced tracks by creating ‘MYOONON‘, a track reminding instantly of songs that Tensnake, Gerd Janson and Tube & Berger made in the past months. This one here is pure gold and stretches from disco to house; playing with several nice 80’s samples as well as an organ that nails it for me. Needless to say that this is my favorite track on his stellar debut. Rounding up the release is a drum-heavy contribution by the head of Pocket Jack Trax, Ruben Naess, who chipped in uberly jackin’ beats to morph the previous mentioned ‘MYOONON‘ into a remix you would listen to at Printworks London at around 5 am to dance along it ’til the feet fall off. Curious how the final product sounds? Give it now a spin below and cope the EP one of of the many digital outlets carrying it! Now if the EP wouldn’t be enough, Ronald also chipped in an energizing mix to underline his ambitions of becoming a touring DJ and artist. Check out this excellent 1 hour and 10 minutes long piece of house and disco music.